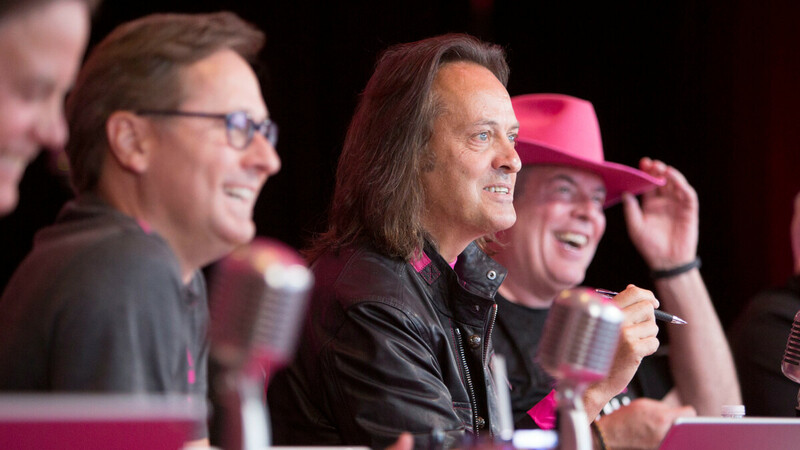 In response to Verizon’s latest prepaid plan revisions and promotions, T-Mobile seems to be offering a sweet new deal of its own for customers who don’t like postpaid wireless services. For a limited time, you can sign up for unlimited talk, text, and data in “participating” T-Mobile stores for just $50 a month. Obviously, a number of restrictions and conditions apply, but at the end of the day, this promo still looks better than what Verizon is currently offering. It may also beat Metro’s $50 unlimited high-speed option, as there’s no mention of any predetermined hotspot data allotment. Of course, tethering is limited to 3G speeds on T-Mobile’s new $50 prepaid plan, while video “typically streams” at 480p. If you do a lot of Netflix and chilling, you’ll want to keep in mind deprioritization is also part of the deal, although your download and streaming speeds will only be reduced if you’re among the “small fraction of customers” using more than 50 gigs of data a month. The final stipulation is that taxes and fees will not be included in your $50 monthly rate, but all things considered, the compromises are certainly worth the payoff. Especially if you combine this deal with an older one that’s still up for grabs, letting you pick up a free LG Aristo 2, Moto E5 Play, or T-Mobile Revvl in a physical store with a $100 ePin or service credit purchase. Once again, tax is not included. Stupidness. Whats the point of Unlimited if you are stuck on less than 480p. And I was on Pre-Pay tmobile and u are lucky to get video to play at 480, most of the time is 360 in order to not have buffering every 5 secs. and a speed test show over 80 megs down available on LTE. Throttling is stupid and completely unnecessary.